Through a hands-on/interactive approach, participants will learn the importance of storytelling and how it can be used to engage community members and different social group dynamics towards an inclusive working environment. Through a hands-on/interactive approach, participants will be able to learn more about social identities and how these identities intersect and impact them and others on a daily basis in order to work towards an inclusive environment. From a personal experience, Nancy will share the challenges and rewards of her lived experiences as a first generation Hmong American female born to war refugee parents in hopes that participants will gain more insights on the refugee family experience and how to work with them holistically. In order to have healthy relationships with ourselves and others, we must learn what is unhealthy and define it for ourselves. Nancy will use a hands-on/interactive approach to guide participants in creating a healthy relationships toolkit as well as learn more about what is healthy and unhealthy relationships through the terms domestic violence, sexual assault, intimate partner violence, and gender-based violence. Perspectives on gender-based violence on a global scale and how globalization impacts women globally. 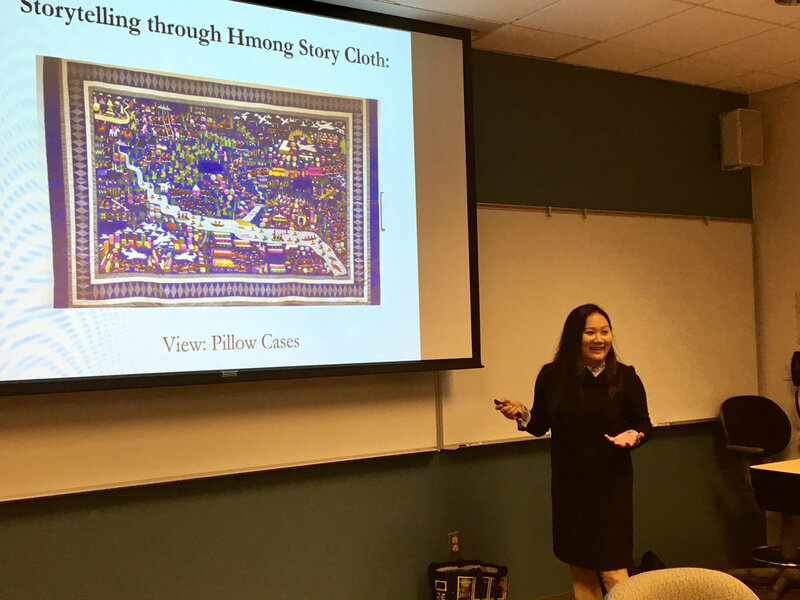 Working in the field of gender and social justice, Nancy will share perspectives of feminism and patriarchy through a critical Hmong culture lens in hopes to advance communities. Nancy is open other topics to serve your organizational and clientele needs and goals. "I just want to follow up with you and say thank you for coming and talking to our clients, they loved it. That was the most I have ever seen them interact with each other."